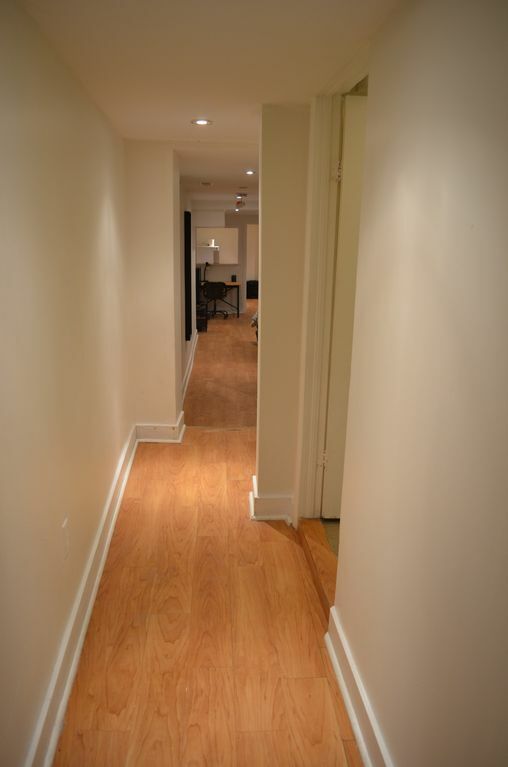 Bright & Spacious Open Concept Studio Basement Apartment. Located Near Trendy Dufferin/St. Clair in Toronto. Home Located On Late Night Bus Route. Large Windows, High Ceilings & Brand New Modern Furnishings. New Kitchen Cookware & Gas Stove. Queen Bed & Pull Out Sofa Bed. Accommodates 4 People. Transit at Doorsteps. Direct Bus to Dufferin Subway Station (3 KM) & Yorkdale Mall (4 KM). Nearby Grocery & Convenience Stores. Close to Green P Parking & Car2Go Service. Walking Distance to Laundromat. Stayed for three weeks. Comfortable bed! Having the big kitchen was an asset too! Would stay here again!